Posted on August 9, 2018 at 5:05 pm. Statistics from the Victorian Commission for Gambling and Liquor Regulation have revealed over $18 million – or a daily average of $50,911 – went into poker machines in Sunbury in the 2016-17 financial year. The mentioned amount of $18,582,731, according to estimates, can pay for the soon-to-be-built global learning centre. The town has a total of 230 electronic gaming machines at five venues, from which the two operators not attached to local clubs take about a third of the spending. 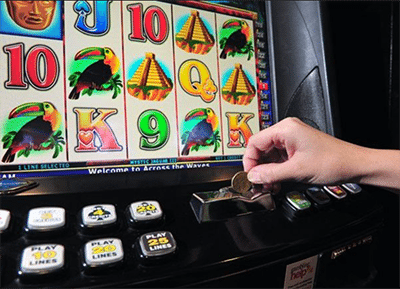 The 31 machines at the Royal Hotel raked in $5,667,863, while the Olive Tree Hotel’s 43 games racked up $5,372,084. The three others venues are the Sunbury Bowling Club ($3,898,810), the Sunbury Football Social Club ($1,884,696) and the Sunbury United Sporting Club ($1,759,276). Sunbury Community Health’s Bernadette Hetherington expressed shock about the figures. “As an organisation, we are formulating a response which will focus on community awareness,” she said. She revealed that proactive response to gambling addiction was a difficult task as a community health provider. “It’s a hidden shame – people are just not going to come forward and tell you straight out how much they have lost,” she said.